Flip Phone Features allows you to customize your home phone to meet your requirements. For $5 per month, you have access to great features and you can purchase this add-on at anytime through the "Calling" section of your Flip My Account. 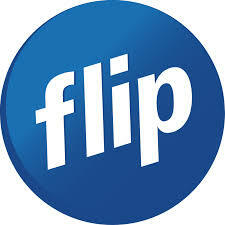 To utilize any of the Flip Phone Features you will firstly need to enable the particular through your Flip My Account. Is your personal answering machine and gives callers to your phone the option of leaving a message if they haven't been able to reach you. To set up Voicemail, simply dial *55 from your handset. Will notify you when someone else is trying to call you while you are already on a call. You can switch between calls when you hear the beeps, depending on your phone simply use the # key, or "Flash" or "recall" to toggle between calls. You can forward calls to another number when you’re not at home or when your line is busy. You can even set this feature to permanently forward all your calls. Please remember that if you are diverting your call to a chargeable destination, you will be charged the standard per minute calling rate for the call. Have control over your bill by setting up a PIN code. This feature allows you to choose a 4 digit number that you must enter before making a call, this way only people who know the pin code can make toll calls. Best of all this feature is entirely free of charge.